How do I train my dog??? 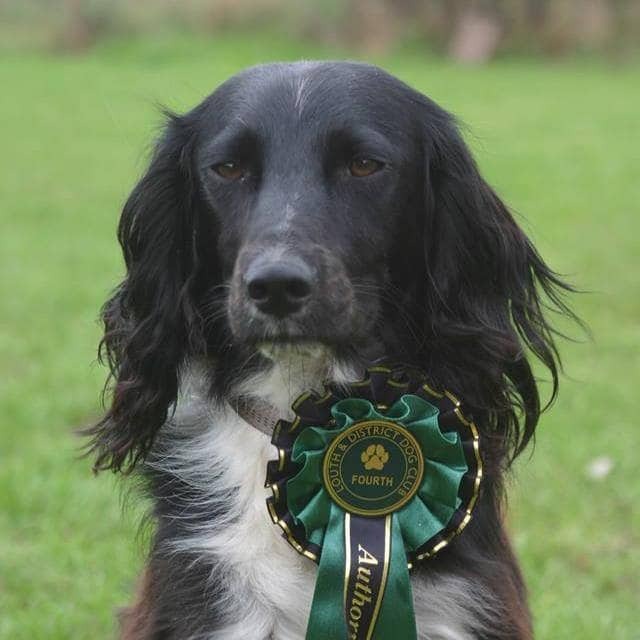 Dog Training – Teaching Your Dog The Basic Behaviours – Above – Roberts first obedience win albeit 4th, very proud mummy moment. …and the correct dog lead go hand in hand, especially as my first sale and drive behind this business was the long training line. On this page, I talk about YOU training your dog to be able to behave, whether that be from scratch with a new puppy or older dog or if you need some help with an existing dog. There are ways and means of getting it right and I believe there should be free access to this as trainers and behaviourists can be expensive. I personally only train my own dogs now but back in the day when I was doing dog training classes in Lincoln, private dog training lessons and residential training, I learnt a lot about how dog owners perceived dogs and their training requirements. Now running Meg Heath Boarding Kennels, I see a VAST amount of untrained dogs, I’d say a good 95% of dogs that come into my boarding kennels in Lincoln are UNTRAINED in basic obedience! In these articles, I feature THE MOST IMPORTANT BEHAVIOURS and the order to train them. My guest author of the article Loose Lead Walking is Paddy Driscol MSc APDT (UK) of Teamwork Training Lincoln. Paddy has been ‘in dogs’ for a long, long time and is the only person whose methods I support and more importantly know they work (Paddy does not necessarily share all of my views herein, she just wrote the LLW notes). 13 years ago Paddy taught me to teach Robert (who had no interest in retrieving) to retrieve, now Robert is my little helper as his retrieve helps me pick up items I’ve dropped. She also taught me, albeit in competitive obedience type classes, how to teach loose lead walking and even though it was more like competitive heel work, that didn’t matter because it is the same difference, the technique is somewhat similar but my opinion is to teach a higher standard and you will get a ‘good’ behaviour. So aim higher. Before you even consider training, ask yourself are you the type of person that will succeed. Does your dog ignore you? Do you find yourself repeating commands? Cesar Milan whether you love him or hate him talks sense when he talks about energy and no I don’t mean are you feeling lethargic. Do you take training your dog seriously or expect it to ‘come good eventually’? When you do train and ask commands, do you do it with intention, do you let the dog do what it likes and then make excuses for him when he doesn’t do what you ask? I’m guessing maybe so and maybe I’ve offended you because I’m talking sense right? If the answer is yes, then this page is for you. Why not let us help you understand WHY your dog is not doing what you want it to? Why don’t dogs do what we want? Because they are dogs… and we are humans. We are 2 different species with 2 different forms of communication – although the more you learn about dogs, the more you will see that we can recreate some of their body language and some people also just ‘understand’ dogs, even though to this day there are some things I will never get! Dogs are not born knowing ‘our values’, such as walking nicely by your side on a lead, coming back when called etc, we have to educate them. Teaching dogs to do certain things can be challenging and that’s not covering the subject of problem behaviours however I will touch on jumping up and explain why dogs do it and maintain the behaviour. So here goes, some practical advice on loose lead walking and recall is in a separate document so click on the link. Here is how I would start a new dog training program with a dog whether that be a dog you have just brought home or an existing dog. It is important to realise that in the early days of training you can forget about getting far in miles because you need to teach these behaviours first before you can go anywhere. Introducing a more ‘normal’ walking program comes when you start to make progress. In Paddys Loose Lead Walking notes, she talks about this. If this is to work, the majority of your walks need to be about teaching your dog about how to walk on a lead properly – dont plan on getting anywhere. So, I hear you ask, how do we exercise our dog then? Like this. You get yourself a long training line and use it to walk your dog when you are not training. 5-10 metres is a good length. The training line helps you to worry less about your dog walking close and a lack of recall (coming back when called). If you were to only ever teach your dog one behaviour, it would be the recall. Coming back when called is the behaviour you just don’t see in most dogs and let’s face it, a lack of recall can potentially kill your dog if he runs into a road or on to a train track. So let’s have a look at the recall. You can read my step by step notes on how to teach the recall (coming back when called) here. The document mentions the equipment used and order of training. Seems a bit daunting but it works and if you want to a good job it’s worth taking your time and listening to those who know what they are talking about and have done it before. Don’t waste time reading any other articles because this is the only one you will ever need. Secondly (or at the same time as really) is loose lead walking. This is not that easy to master but don’t be put off, stick it out and I will even provide you with an email to contact me if you get stuck sarahgleave@icloud.com. Here is Paddy Driscolls PDF on the subject, this is quite a concise ‘how to’ with a short summary by me, so here goes. In a secure area or on a longer (hanging loose) lead, encourage your dog to follow you, using food is a good way but toys or encouragement are good too. Lures must be in hand nearest to dog. When the dog is beside you, say GOOD or click if using clicker. Give treat/reward. Dispense treat/reward in the position you want to repeat (i.e. by your side, ideally head by your knee). Repeat lots then move on to taking 2 steps. Repeat lots. Read the pdf notes from the link above for all the inbetweeny notes that will also help you. Important – take your time, it really does pay to take this slowly but don’t neglect exercising your dog, as I said before, use the long line. Why does a dog jump up? It’s a normal canine greeting behaviour, one of those that doesn’t need rewarding much to become a well-established behaviour as your dog is born doing a pretty good job of this but one of those behaviours not compatible with being a pet. I bet you thought it was cute at first, didn’t you? But then you were in your clean clothes and the dog was muddy right? Not so funny and cute then, is it? Why did you give your dog 2 rules? One for when it’s ok and one for when it’s not ok? This is not everyone’s cup of tea and I may even have vigilante dog trainers banging at my door shouting SARAH YOU CANT DO THAT !!! Yes, I can !!!! I get results. So if you want to avoid this section, feel free, it’s not my dog (however I would like to help you). First of all, this is not used with any force and yes the last bit is harsh but isn’t that why you’re reading this page, you have an untrained dog right? OK, dog jumps up, here’s the DO list: keep your arms still, shut up (mouth zipped DO NOT say get down), turn away….and here’s one of my babies – step back so the little *&%$£$ misses you and his front feet fall to the floor, then the if all else fails bit, lift your knee up (you might even find yourself doing all of these). BUT here’s the important bit and I swear do not miss this otherwise your time doing this is wasted. REWARD REWARD REWARD for when he SITS…. phew that was hard work typing never mind doing! Please please please do this all the time – CONSISTENCY IS THE KEY !!!!! Everyone MUST do this, reward it once and you’re back to square one flower, OK? Disclaimer: I am not a behaviourist nor a qualified dog trainer. I do not have any certificates in dog training but what I do have is 30 years experience owning and working with dogs. I’m proud to say my forte is working with packs of dogs and running boarding kennels. Please always see a vet when you have behavioural problems with your dog and always seek professional advice from qualified trainers/behaviourists. Paddy Driscoll is the owner of the document Loose Lead Walking on this page but does not necessarily hold the same views as the author of this page – Sarah Gleave.